THE famed Easter in the Country festival has grown larger than organisers anticipated and future changes have been announced with less than three weeks to go until this year's extravaganza. Speaking to local business leaders at a Commerce Roma meeting last week, Easter in the Country president Jenny Flynn said the 2019 festival was breaking records and would be a major boost to retailers and motel owners who were currently dealing with a quiet period. "This is our 42nd year of the festival in Roma and in terms of economic value it is the biggest thing we do as a town all year,” she said. "So far the motels are sitting on 85 per cent occupancy across the board - most only have one or two rooms left - and it is also a big camping weekend. "Camping is the mantra for Easter and it does well here but we have not since the oil and gas boom ever gotten close to 60 per cent on motel occupancy until now. As if the committee didn't have enough to do already, the small band of volunteers who organise every last detail of Easter in the Country have already started on Easter 2020, while making final preparations for this year. Ms Flynn said the current situation had been a catalyst for a major internal shake-up and they were trying something the festival had never done before. "Being president for the past six years is probably the hardest thing I've ever done and it is just a full-time job in itself,” she said. "I take three months off my work to be a volunteer for that time and it is a big cost, not earning for three months is difficult. 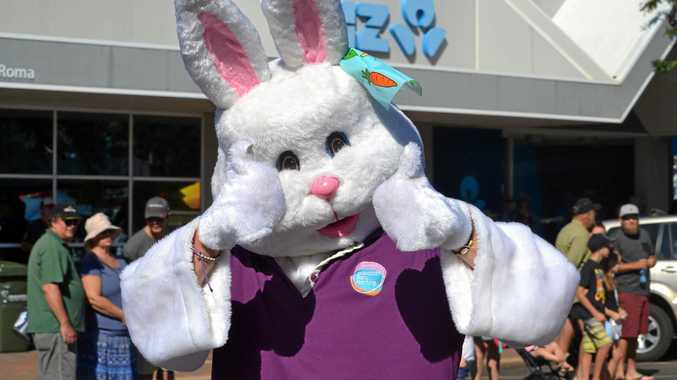 "We have realised that there is a gap in what we do and organising Easter in the Country needs a 12-month position, because our small committee of seven is currently dealing with bookings now for Easter 2020, as well as service agreements and things like that. "Essentially we start in earnest in August or September and go like the hammers for seven months until March or April. "But if we are going to be a festival in the future and keep going with this business model, we have to have a person who will be there most of the time. This year Easter in the Country has a series of headline events, including the sold-out Tucker Under the Stars with celebrity chef Matt Golinski, professional rodeo and the CBD concert series, which is intended to attract visitors into shops and restaurants along McDowall St.
Festivities will begin on Wednesday, April 17.